We asked Fiona to design two bathrooms to suit our family, budget and which would be sympathetic to the age of our house. 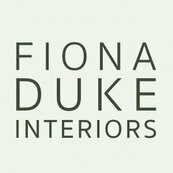 After thoughtfully working on layouts to ensure the space was used in the most practical way, Fiona put a huge amount of effort in to choices for materials and bathroom fittings; spending time researching and selecting beautiful items for our home and helping to choose colour schemes. After liaising with fitters to ensure the greatest attention to detail regarding quality and timings, Fiona has helped us to achieve designs which we would never have had the vision to achieve without her help. She has a passion for interior design and always does above and beyond to ensure that we are completely satisfied with her work. Very much looking forward to working with Fiona again.